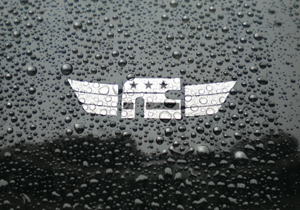 Want bugs and grime on your windshield to melt away? Who else but the premiere motorcycle/ATV windshield manufacturer could develop the premiere windshield cleaner? 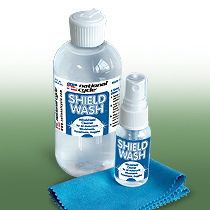 Developed by our in-house chemist, National Cycle's N1401-01 Shield Wash™ keeps your windshield ultra clean. 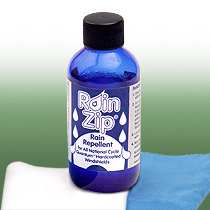 To keep your windshield clearer in rainy weather, National Cycle developed N1410-01 RainZip®, a specially formulated rain repellent treatment that is safe to use on your Quantum® hardcoated National Cycle Windshield. 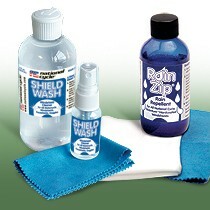 And, it's safe to use on ANY motorcycle/ATV windshield, plus helmet faceshields and goggles.